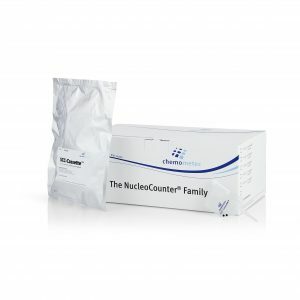 Shop / NucleoCounter® Consumables / Cassettes / Via1-Cassette™box with 100 pcs. The Via1-Cassette™ is a specialized device containing two immobilized fluorophores, acridine orange and DAPI. When the cassette has been loaded with approximately 60 µl of cell sample mixture the acridine orange and DAPI will be dissolved. 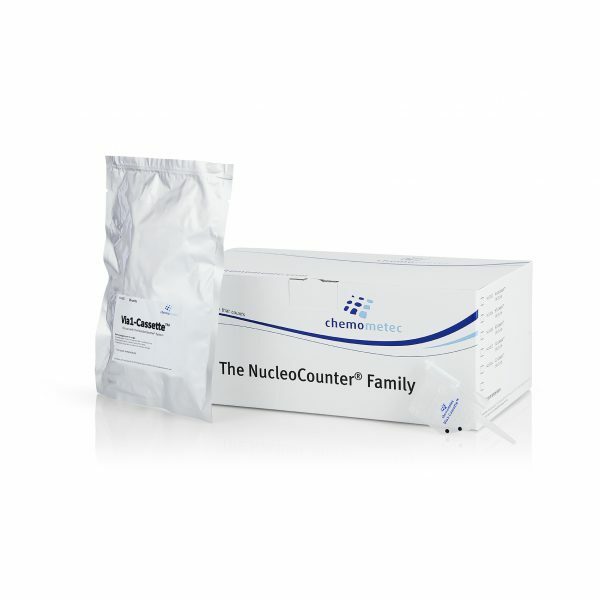 Acridine orange stains all cells in the sample both living and dead cells thus providing a total count and acting as a counterstain to locate the cells. DAPI stains the dead cells. The Via1-Cassette™ is used in Nucleocounters® NC-200™ and NC-3000™.